Lagos is an interesting, exciting and vibrant city that leads other cities in providing captivating and eye-catching experiences. 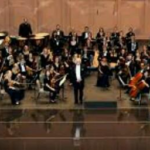 As a world-class city, it offers many entertainment options. The hustle and bustle in the city accounts for its large economy and paves way for tourism. Do you reside in Lagos, or are you planning to visit the city soon? Are you thinking of places to visit during your leisure? Here are some interesting, fun places in Lagos that you can add to your “to-visit” list. Also known as Adeniran Ogunsanya Mall (AOM), the Leisure Mall is located at 84, Adeniran Ogunsanya road, in the heart of Surulere. A weekday is the best time to visit AOM if you want to have fun privately, because there will be less crowd. It has over 154 sections where you can catch fun. These include Filmhouse Cinema, Shoprite, Riana Jewellery Collection, House of Tara Skincare and Fragrance Outlet, Levi’s Fashion Outlet, La Laura Beauty Max Limited, HealthPlus Pharmacy, and Exquisite Latest Gadgets and Technology. But when you’re visiting AOM, don’t go with all your money, as you might get tempted to blow everything! This is the re-construction of the original Fela Anikulapo-Kuti’s Afrikan shrine, which was burnt down in 1977. It is a fun arena located at 1, NERDC road, off Hakeem Balogun street, Agidingbi, Ikeja, Lagos. Entertainment hours are from 6pm to 1am on Thursdays to Sundays. The shrine is decorated with various pictures of Fela. 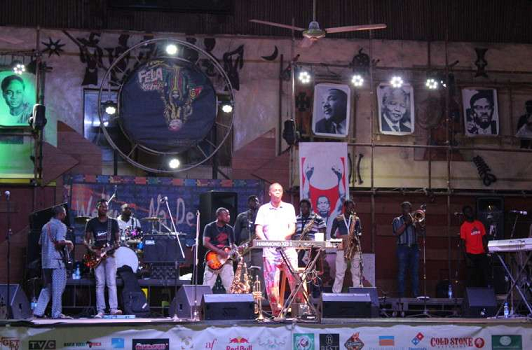 His sons, Femi Kuti and Seun Kuti perform on every Thursday and every last Saturday of the month, respectively. During live music performances, visitors can enjoy palm wine or various snacks. The shrine is notorious for consumption of drugs such as Arizona, skunk, Indian-hemp and marijuana. It is a place where hard drugs are puffed without caution. So, if you can’t bear the sight or smell of marijuana or cigarette smoke, then this place isn’t for you! The Nike Art Gallery and Culture Centre was established to promote and preserve Nigeria’s art, culture, heritage and language. It is the largest art gallery in West Africa, with over 7000 artworks such as sculptures, carvings, paintings, batiks, drawings, and molded statues done by famous Nigerian artistes. It is located at No 2, Elegushi road, 3rd Roundabout, Epe Expressway, Ikate Cross Road, Lekki phase 1 Peninsula, Lekki, Lagos. It helps you to appreciate the core values of the Nigerian heritage, especially if you are an art curator. The owner, Chief (Mrs) Oyenike Monica Okadaye is usually around to welcome and take you around the centre. There are also art classes for sculptures, painting, dancing and drumming in the centre. 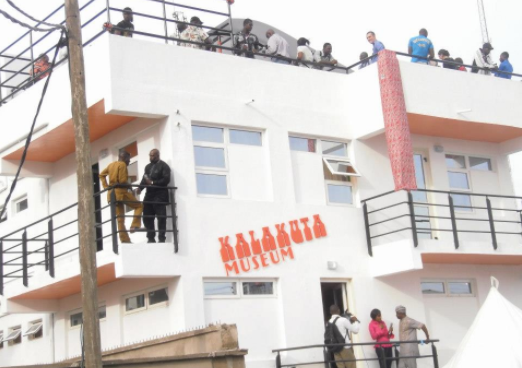 Dedicated to the late afrobeat legend, Fela Anikulapo Kuti, the Kalakuta Republic Museum is located at 8, Gbemisola street, Allen Avenue Ikeja, Lagos. Actually, it was the legend’s former home that was transformed into the museum to preserve the legacy and philosophy of the great musician. The museum gives full details of Fela’s life. All his trademark belongings such as his shoes, clothes and household belongings are kept there. 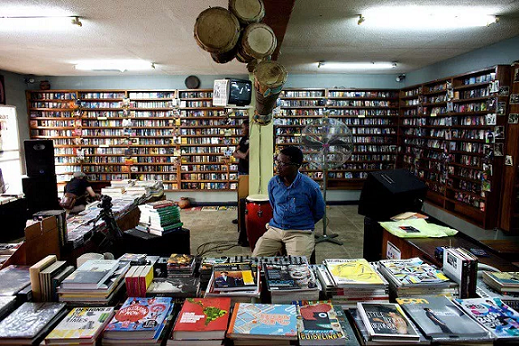 It is a nice place to be for every lover of art and culture and for lovers of Fela, in particular. Do you have great interest and curiosity about nature? Then, the Lekki Conservation Centre (LCC) is one of the best urban centres you should visit. 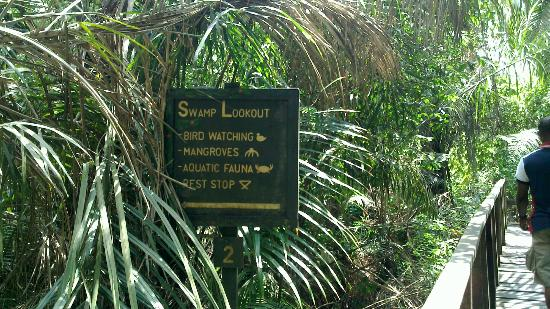 LCC covers about 78 hectares and is primarily monitored by the Nigerian Conservation Foundation (NCF). Located at 19, Lekki-Epe Expressway, Lekki Peninsula II, Lekki, Lagos state, it was established to prevent extinction of natural phenomena through the conservation of wildlife and mangrove forests in Nigeria. LCC is well known for its great diversity in species, natural, scientific and recreational of the south-western Nigeria. It offers a wide range of exciting sceneries such as Nature station, Bird Hide, Swamp Look-out station, Koi and Tilapia ponds, as well as floor games such as ludo, chess, and snakes-and-ladders. Isn’t it nice being in a cool environment, flipping through pages of books, and listening to genres of music? It sure is! Located at 168, Awolowo road, Ikoyi, Lagos. The Jazzhole has a combination or art, music and literature, and a chilling café. It is mainly a book store with varieties of book collections. There are events and performances in the evenings, with the proprietor Mr Kunle Tejuosho being always present to welcome both local and foreign visitors. If you’re a lover of books, and you really see reading as fun, then you’ll love The Jazzhole! Located at No. 1, BIS way, Lekki, Lagos, The Palm Shopping Complex is the second largest shopping mall in Nigeria as of present. It provides an international standard shopping experience, comprising several outlets including electronics stores, accessories shops, books and gifts stores, hairdressing and beauty salons, sports accessories stores, fashion outlets, and fragrance stores and many others. International slots have been taken up by brands such as Hugo Boss, Sony, KFC, Nike, Swatch, and so on. The complex also houses a quality cinema — Genesis Deluxe Cinemas — located on the upper floor. Both local and international movies are shown there. It also accommodates three anchor stores which are South African brands Game, Shoprite, and Nu Metro. 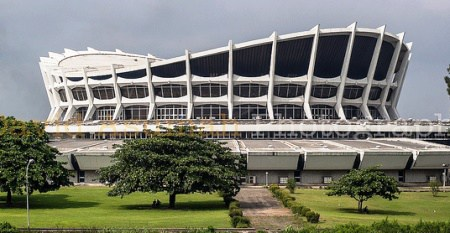 One of the most popular architectural masterpieces in Nigeria, the National Arts Theatre was built to promote and conserve the country’s arts and cultural heritage. Located on the Lagos Mainland at Iganmu, the National Arts Theatre, also known as “the culture house”, has the shape of a military hat, which gives it an outstanding look. 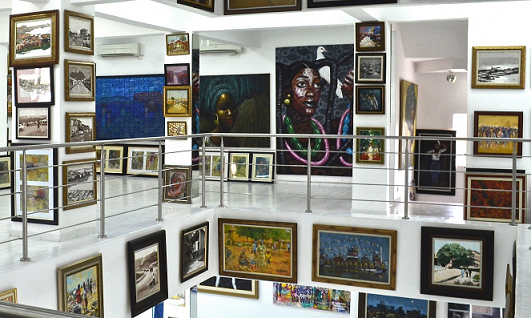 The building has a section that contains a collection of modern and ancient Nigerian artworks. It also houses two 350-seater cinema halls, a restaurant, a bar, a 3000-seater main auditorium, a 1000-seater conference banquet hall, lawns, and a lobby. The National Arts Theatre is no doubt a lovely and interesting place to be for lovers of art and culture. The spot now known as the Freedom Park was formerly a prison yard (Majesty’s Broad street prison), where the British colonial masters would torture and imprison those who go against the then rules of the land. Located at 1, Hospital road, Old Prison Ground, Broad Street, Lagos Island, Lagos, the place has now been re-constructed to preserve and conserve Nigeria’s cultural heritage and serve as a historical monument, arts and cultural site, and recreational centre. 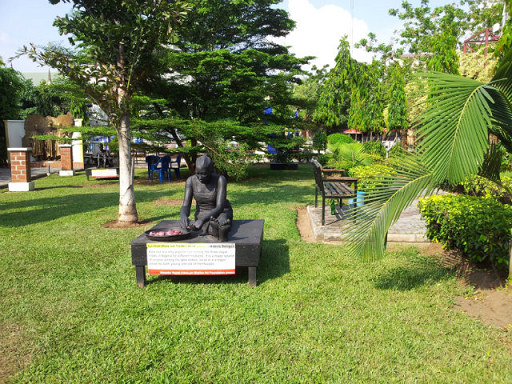 It also has open facilities like resource centre, food court, museum complex, cells unit, Wole Soyinka Art gallery, Open Air stage and skeletal cells. It is a great place to hang out with friends and loved ones! 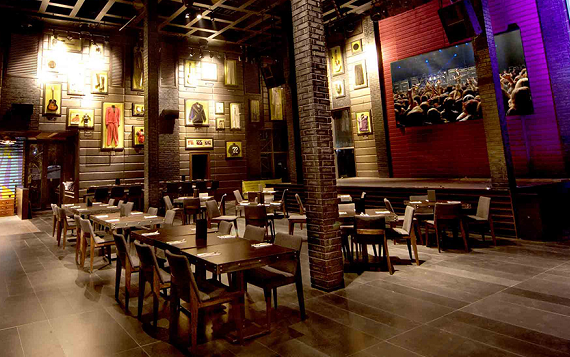 The Hard Rock Café is one of the best hangout spots in the city of Lagos. Located at Plot No 3 & 4, Block XVI, Oniru Estate, near Landmark Centre, Victoria Island, Lagos, the café offers a mouth-watering menu handled by world-class chefs. The place is particularly known for offering delicious American dishes. The café also houses a 200-seat art theatre, a stage for live performance, a swimming pool, and a special section for kids’ recreation. 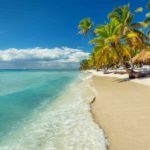 It is a place where fun lovers would have amazing time because there are more-than-countable attractions, from live music and the Rock Star Suite to classic dishes and the the latest collectibles. No matter what your personal preferences with regards to fun are, you’ll find something there to fall in love with! The Hard Rock rocks! Located at Block 1, Plot 3, Okunda Blue Water Tourism Scheme, Lekki, Lagos, the Lekki Leisure Lake is a Lake side resort where you can appreciate a great view of the Atlantic. (Yes, the Atlantic ocean!) It is one of the best places for group hangouts, family outings, and chilling with your loved ones. It is important to note that the resort is safe as there is thorough supervision as well as adequate security and safety accessories. There are lot of enthralling experiences you won’t want to miss, such as quad biking, wake boat, pontoon boat, and jet skiing. The Leisure Lake also plays host to activities such as birthday parties, general meetings, fun parties, and so on. You’re not allowed to bring foods and drinks to the resort, but you can get all the foods, snacks and drinks you want. Located at No 5, Obafemi Awolowo Way, Alausa, Ikeja, Lagos, the Ikeja City Mall is one of the largest shopping centres in Lagos. 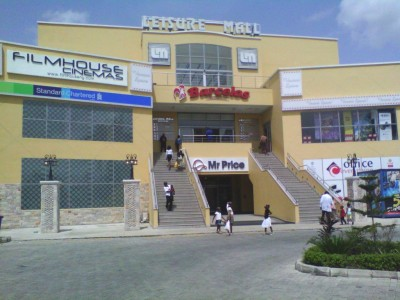 It comprises many outlets and fun-to-be places, such as the Silverbird Cinemas (a 5-screen cinema where latest Hollywood and Nollywood movies are shown daily), restaurants and fast food outlets where you can get both African and international meals, unisex and kids cloth collections, Shoprite supermarket for varieties of groceries, human hair and makeup shops, pharmacies, specialist clinics, spas and other various outlets where you can catch fun and do business. 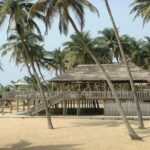 If you love to relax and catch fun in not-so-crowded and silent places, then the Tarkwa Bay beach is the best place for you. Unlike what obtains in other beach resorts, there are is no music. So, if you’d love to enjoy some music all alone, go with your headphones! Located at Plot 686A, Ozumba Mbadiwe Avenue, Victoria Island, Lagos, the Tarkwa Bay beach is only accessible via water transport. Isn’t it amazing to have a nice, wide view of the ocean and behold the water waves? Places where you can get boat rides to the beach include Marina, Mekwe Jetty and Tarzan marine. 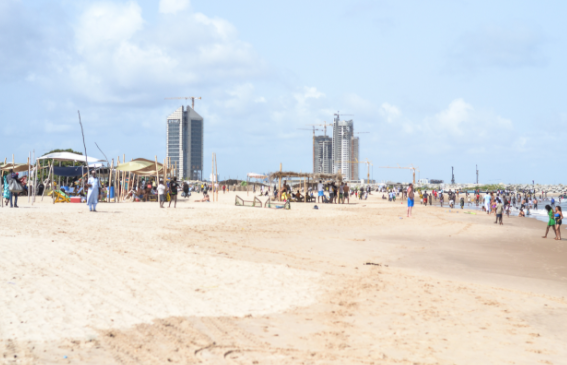 Some of the interesting activities you can enjoy in Tarkwa Bay include volleyball and some other sports. Interesting treats include barbeque and chilled coconut juice served in coconut itself. Note that other foods and drinks are not available on the beach, so you have to go with your edible stuffs if you can’t fast for the period you’ll be spending there. Nonetheless, it is one of the best recreational spots in Lagos. 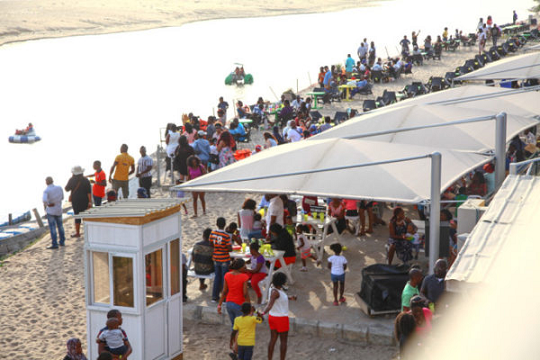 If you reside in Lagos and you’re looking to have fun without having to go to the Island, you don’t have to worry; there are several fun places on the Mainlad that you can have great fun. If you haven’t heard of Orchid Bistro, then you don’t live on the Mainland or rather you probably don’t fancy fine dining. Orchid Bistro is located on Isaac John Street in Ikeja GRA precisely on number 58. Orchid Bistro comprises a beautiful orchid garden just as the name implies and this garden includes some other exotic plants. This beautiful scenery makes this restaurant an exciting place to go with your friends or loved ones. Also, the restaurant has a wide array of continental and Nigerian delicacies on its menu. If you work in the vicinity and you need a place to go for your lunch break or a place to relax after a hectic day of work, Orchid Bistro an excellent option. Another interesting part of Orchid Bistro is the alluring breakfast buffet on Sunday mornings. 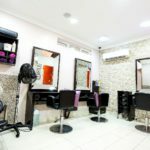 Overall, this fine dining restaurant combines its unique ambience with its excellent dining experience and when it comes to reviews, customers often recommend the café because of the unique experience. Some of the great spots in the mall include Okele Restaurant, Triple J Chinese Restaurant, Shuttles Foods, The Place Restaurant, Bibi’s Grill, Genesis Deluxe Cinemas just to mention a few. The Genesis Deluxe Cinemas is a great place to watch the latest box office movies with your friends and family in an alluring setting. So if you’re looking to combine fine dining with a movie night then you shouldn’t think twice about visiting Maryland Mall. The centre also offer comfort and convenience right from when you step in. it has an ample parking space and the likes of Shoprite, MedPlus and Baby Bliss ensures you can have an all-round shopping experience. The mall best serves residents in the Ilupeju, Ikeja and Maryland although you can always visit as long as you don’t have a problem moving around. One of the most unique features of the mall is the large digita LED screen in front of it which faces Ikorodu Road. This is quite strategic as this screen is located at a place where people driving in the Maryland traffic can notice. If you’re looking for somewhere to have your lunch break or a place to hang out on a Friday night, then you don’t have to look any further than La Mango. The restaurant is a great place for food connoisseurs, curators, fun lovers, tourists. This unique blend of restaurant and bar is located at 2 Adekunle Fajuyi Way whichi is very close to the Mobolaji Bank Anthony Way. You can stroll into La Mango on a weekend or on a night when your favourite team is playing. And you can enjoy the game along with your friends. So if you’re looking for an interesting place to relax after a long day at work or on a weekend then La Mango should be on your list. 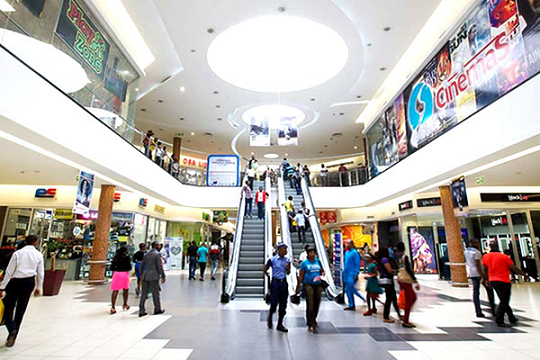 One of the most popular fun places on the Mainland is the Ikeja City Mall. The crowd on a weekend to ICM as it is popularly called is unbelievable. ICM is located on 5, Obafemi Awolowo Way, Alausa, Ikeja and the doors of the mall are open between 9 am and 9 pm everyday. If you’re looking for somewhere to propose, ICM has some unique places you can use for that special day. There’s a place called Melting Moments located within the mall. It has one of the best ice creams and cakes in the country. Melting Moment has an alluring ambience that can make your proposal date a very memorable one. Overall, ICM has over 100 stores which include the popular Shoprite and many other retailers. As a result, the centre overwhelms you with so many options that you may seem confused if you don’t plan your visit. 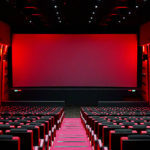 You can also watch any of the latest movies at the Silverbird Cinema in the mall. Lastly, you don’t have to worry about where to parking as ICM is quite generous with its parking lot which can take hundreds of cars. Have you heard of the Jambalaya rice? Well, if you haven’t, then you’re missing out on one of the best rice-based dishes in town and you need to add R Café to your list of restaurants tovisit because the Jambalaya rice is one of their signature meals. R Café was formerly known as Rodizzio Restaurant and bar. It is located on 29 Isaac John Street, G.R.A. Ikeja. It is one of the coolest places to hangout as it has an interesting combination of a restaurant, lounge bar and café. The food is great and the ambience is warm. Also, there is a comedy club where a host of comedians crack your ribs every Wednesday between 7 to 10 pm at one of their private halls. Apart from the places listed above, other fun places in Lagos Mainland include the Pool Terrace located at Sheraton Lagos Hotel and the Fab Restaurant and Lounge located on 25 Oduduwa Way, Off Isaac John Street, Ikeja GRA. Do you know of other interesting places in Lagos that are not on this list? Share your thoughts by leaving a comment.